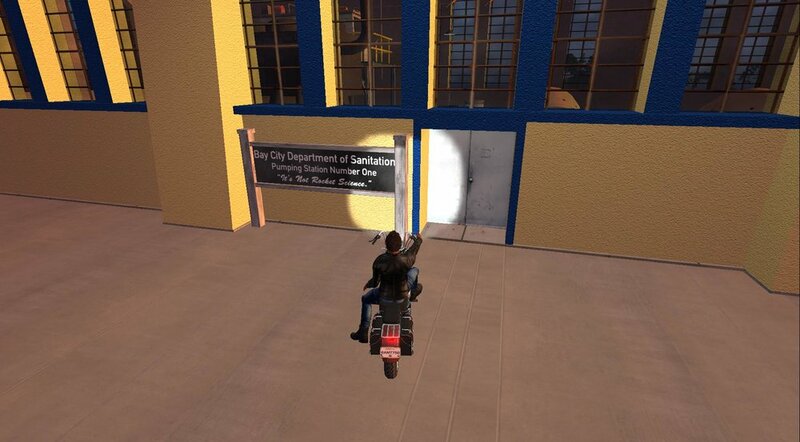 Bay City has quite a bit of infrastructure you can visit. Touring it on a vehicle is fun. It's too big to walk. There's some retail, and lots of buildings to explore. You can even take a small boat through the canals. There are buttons to operate the lift bridges. Parking is a problem. Object entry and autoreturn time for Linden lands seems to be completely random. Some places will let you park for half an hour. Some for 2 minutes. Some not at all. Some private areas, forever. There is a parking structure in which you cannot park. LL should set roads and plausible parking spots to at least 15 minutes. Marked parking structures and spaces, 2 hours.